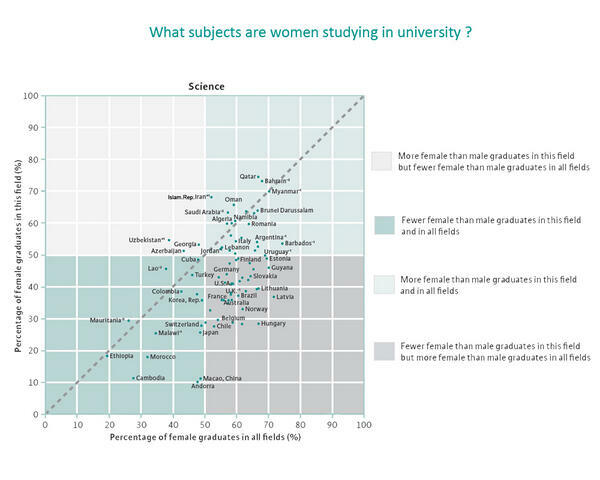 Which country has more female than male science majors? From Unesco. Are you surprised?